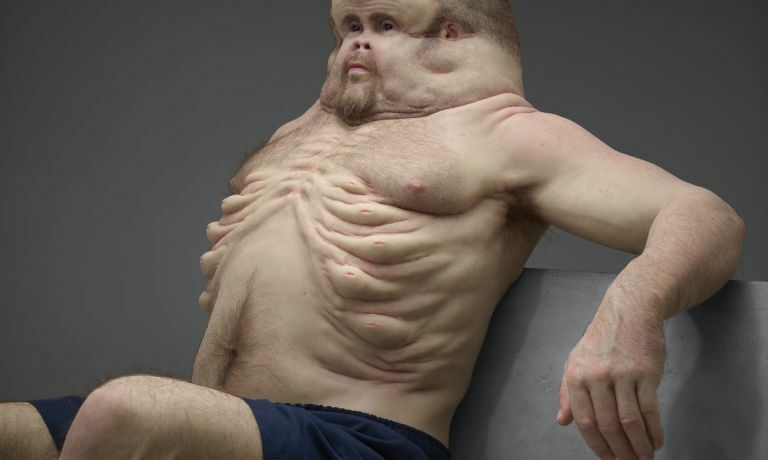 A trauma surgeon, a crash expert, and an artist teamed up to build the ideal crash-proof human. This is Graham. Graham has trouble getting dates, and he's not sure why. Is it his fat, bulbous head? Or perhaps it's the fact that his face looks like it had an anvil dropped on it and his ears seem to be retreating from yet another Colt Ford abomination? Or maybe it's all of those extra air sacks lining his rib cage and the fact that his hoof-like legs are, well, hoof-like? Kidding, of course. Because in another world — one where humans have evolved as fast as automobiles have — Graham might be the perfect specimen. This is according to Melbourne, Australia's Transport Accident Commission, which had a trauma surgeon, a crash expert, and a Melbourne artist team up to design a car-crash-proof human. The TCA is known for its penchant for shock, and Graham is part of its new Toward Zero road-safety campaign. "The truth is, our cars have evolved a lot faster than we have," says David Logan, a team member on the project and road safety engineer at the Monash University's accident research center. "Our bodies are just not equipped to handle the forces in common crash scenarios." To deal with these forces, the team came up with Graham. Protecting his brain is a much larger skull intended to absorb forces and fracture upon impact. His face, concave and fatty, is less likely to be damaged. Instead of a silly wobbly neck, he doesn't really have one at all, reducing the potential for spine and back injuries. His skin is also thicker to prevent lacerations, and his ribs have a layer of external air sacks for maximum protection. Graham isn't just designed to survive a crash from inside a car either. His legs were constructed with pedestrian collisions in mind as well. His lower ankle area has an extra joint for increased mobility, and his knees are incredibly flexible in case of an impact. The below videos further explain how the team went about the project, and for a more thorough look at Graham and all of his physical upgrades, head on over to the Toward Zero campaign's website. There's an interactive 360-degree presentation of Graham along with research notes and even more videos — in case you haven't seen enough of him yet.